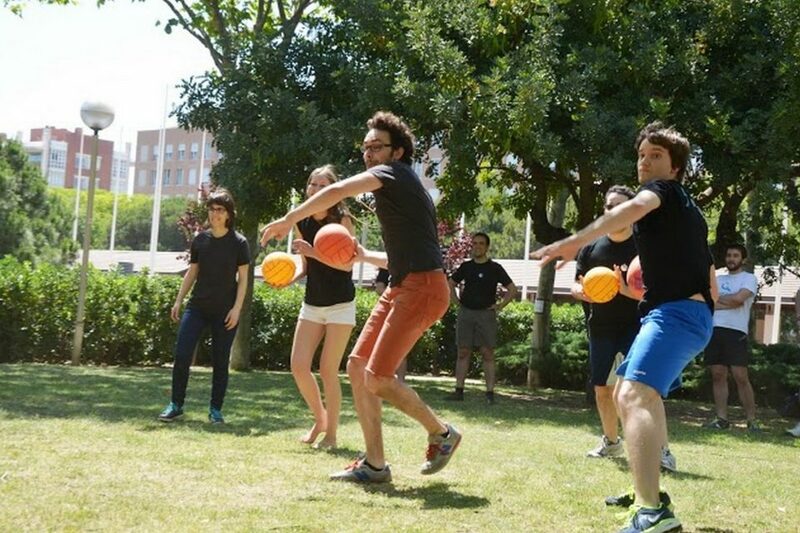 What makes Bumperfoosdodge Ball so popular? Get Ready for a real BumperFoosDodge encounter!! 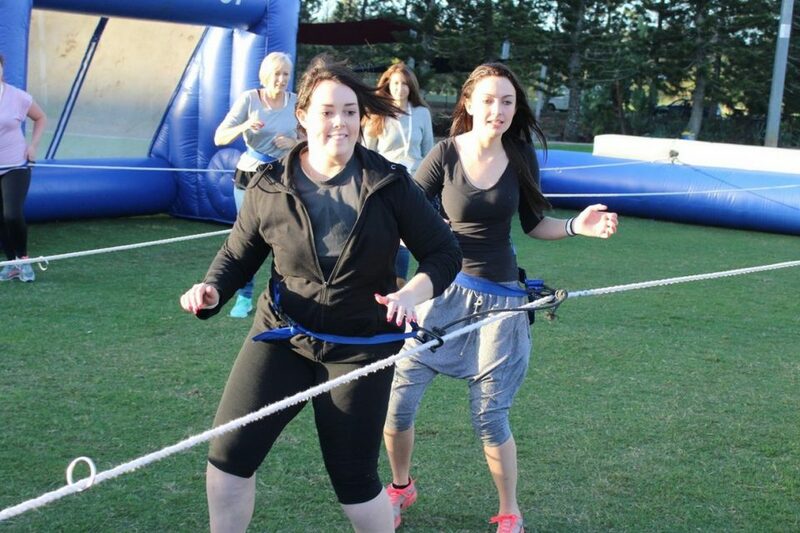 Team building, social, corporate groups, bucks or birthday party goers, this hilarious to watch and thrilling to play event is filled with three great activities. This is a highly interactive, fun and adventurous activity guaranteed to create a truly memorable experience. The popular table game Foosball has now been made into a life-size fun activity. This game is very interactive, hilarious to watch and play and best of all you don’t need any special skills, just a desire to have fun. What makes it so popular is that it can literally be enjoyed by anyone. You don’t need any special sporting skills or athletic abilities. Man, woman, child, old or young it doesn’t matter your all competing on a level playing field! 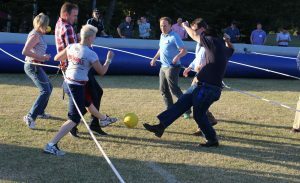 Each participant puts on a waist harness enabling them to only move from side to side or left to right just like the popular table soccer game. The teams have to overcome these restrictions by synchronising their movements. Imagine the ball is to the right, your first instinct is to run to it, but wait, you are attached to up to two other people, if you don’t communicate and work as a team then the other team may get to the ball first and score. Teamwork and communication are essential to passing the ball successfully between team members so you can score. If one ball in play isn’t enough then we’ll mix it up with two! Now it’s utter chaos! Who has eyes in the back of their heads! Which ball do we go for first! Which team can adapt the best to the constantly changing environment! 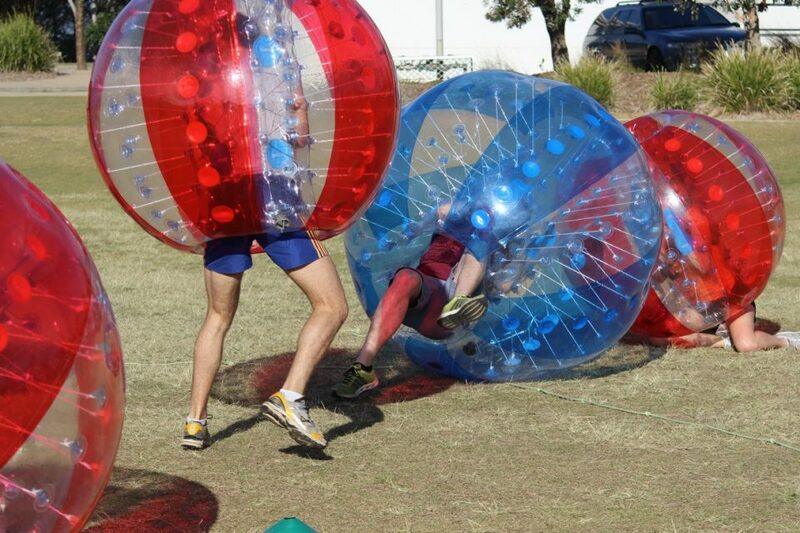 This high octane activity is guaranteed to get the blood pumping as teams battle it out in a series of fun games. There is a variety of bumper activities to choose from, each is very interactive, hilarious to watch and play and requires minimal skill to have fun. What makes it so popular is that it can literally be enjoyed by anyone. You don’t need any special sporting skills or athletic abilities; everyone competes on a level playing field! It’s time for teams to run the gauntlet! Do you have what it takes to get past the other team’s defenders? Can your team’s blockers protect you and give you smooth passage to the other end of the gauntlet. One thing for sure it’s going to be a bumpy ride but you can be sure it’ going to be filled with a rush of adrenaline. It’s high energy, chaotic fun! It’s soccer with a twist! 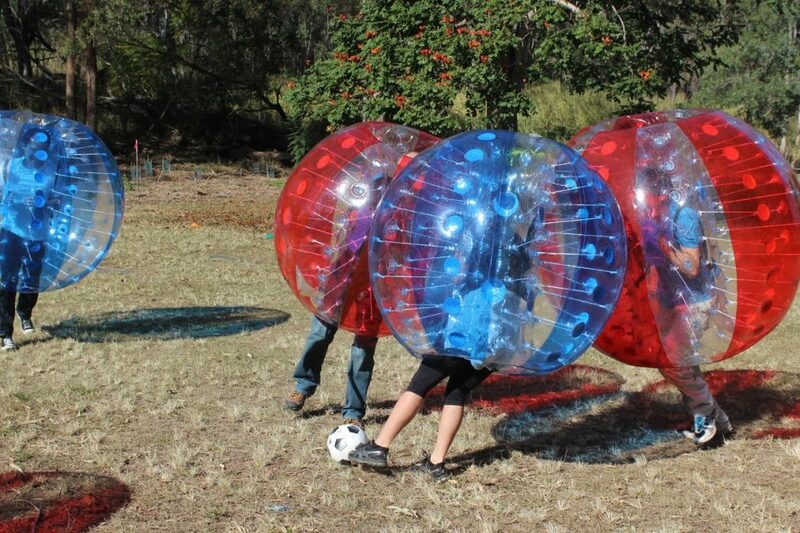 Up to four aside will jump in their bumper balls and play a game of soccer using a massive 1m soccer ball. Only one rule! 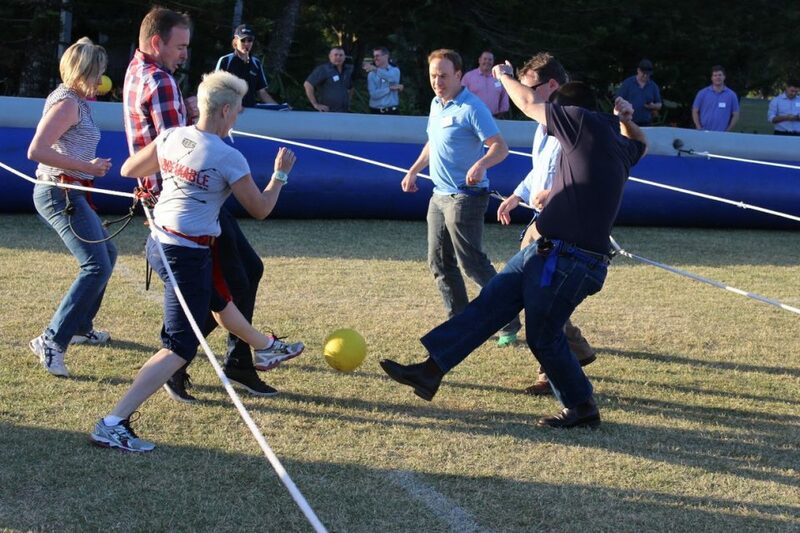 Get the massive ball into the other teams’ goals, other than that all bets are off! It’s hilarious to watch as teams try and get past each other and score a goal. Two or four people at a time will enter the Bump Out ring to see who will be the last Bumper standing. The aim of the game is to work together as a team to bump out the opposition and be the last team inside the circle. Teams will enter the dodgeball arena where they will face off against each other. Teams must race to the center line, grab a ball and then throw it at the opposition in an attempt to hit their legs, but beware that an oppositions ball doesn’t hit you first. This is a fun and often chaotic game. 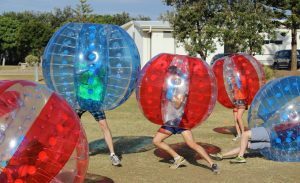 Who has what it takes to dodge the ball and be the ultimate winning team, either way, teams will have a great time in the process. BumperFoosDodge Ball is a great fun event that will see teams communication, commitment, and courage put to the test all whilst having a ball. Throughout the games, points are accumulated and the overall team winner announced at the end of the day with awards given. Participating or spectating we guarantee everyone will be unable to stop laughing. The minimum duration is 1 hour and maximum duration is 1 day (if a tournament style event is organised and depends on the size of the group). 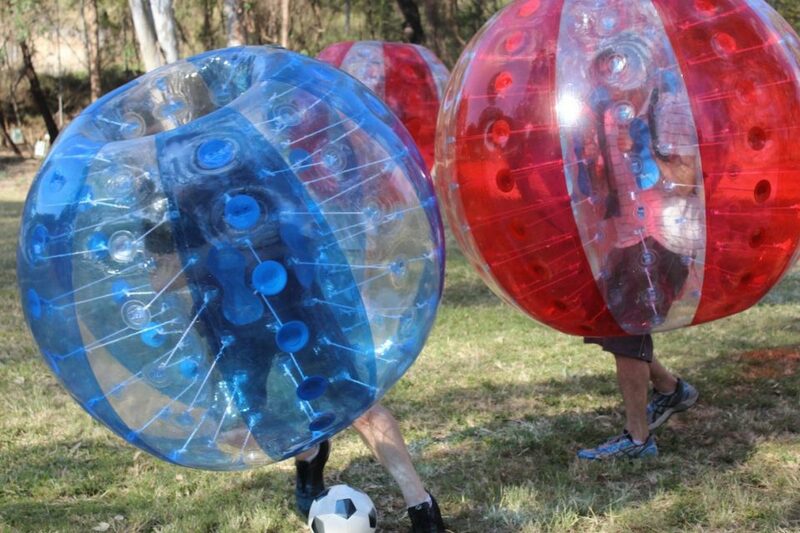 This activity is fun, enjoyable and can literally be enjoyed by anyone. It doesn’t require any special skills and is highly interactive and has an intensity level of medium to high.